Mehmet Yildirimoglu is a Lecturer of Transport Engineering at the School of Civil Engineering. Mehmet received his B.Sc. degree in civil engineering from the Middle East Technical University (METU) in 2009, M.Sc. degree in civil engineering from the Rutgers University in 2011 and Ph.D. degree in civil engineering from École Polytechnique Fédérale de Lausanne (EPFL) in 2015. 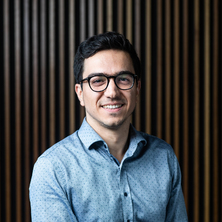 Prior to joining the School of Civil Engineering at the University of Queensland in 2016, he was a Postdoctoral researcher at EPFL, Switzerland. His research revolves around large-scale traffic modeling, dynamic traffic assignment, data mining techniques and real-time traffic management. How far is traffic from user equilibrium? Yildirimoglu, Mehmet, Petit, Antoine, Geroliminis, Nikolas and Ouyang, Yanfeng (2016). Bus service design under demand diversion and dynamic roadway congestion based on aggregated network models. In: TRB 95th Annual Meeting Compendium of Papers. Transportation Research Board (TRB) 95th Annual Meeting, Washington, DC, United States, (). January 10–14, 2016. Yildirimoglu, Mehmet and Geroliminis, Nikolas (2016). Observing and reconstructing aggregated dynamic route choice patterns for large-scale mixed urban/freeway networks. In: 2016 TRB Annual Meeting: Compendium of Papers. Transportation Research Board (TRB) 95th Annual Meeting, Washington, DC, United States, (). January 10-14, 2016. Yildirimoglu, Mehmet, Ramezani, Mohsen and Geroliminis, Nikolas (2015). A rolling horizon approach for route guidance in large-scale networks. In: Transportation Research Board 94th Annual Meeting, Washington, DC, United States, (). 11-15 January, 2015. Yildirimoglu, Mehmet and Geroliminis, Nikolas (2015). Regional route choice behaviour in large-scale urban networks. In: 4th Symposium of the European Association for Research in Transportation, Copenhagen, Denmark, (). 9-11 September, 2015. Yildirimoglu, Mehmet and Geroliminis, Nikolas (2014). Approximating dynamic equilibrium conditions with macroscopic fundamental diagrams. In: 93rd Annual Meeting of the Transportation Research Board, Washington, DC, United States, (). January 12-16, 2014. Yildirimoglu, Mehmet, Limniati, Ypatia-Stefania and Geroliminis, Nikolas (2014). Linking the properties of mean-variance relations in travel times with the hysteresis in macroscopic fundamental diagram. In: 3rd Symposium of the European Association for Research in Transportation, Leeds, United Kingdom, (). 10 - 12 September, 2014. Yildirimoglu, Mehmet and Geroliminis, Nikolas (2013). Dynamic route choice modeling with macroscopic fundamental diagrams. In: 2nd Symposium of the European Association for Research in Transportation, Stockholm, Sweden, (). September 4-6, 2013. Yildirimoglu, Mehmet and Geroliminis, Nikolas (2013). Experienced travel time prediction in congested freeway routes. In: 92nd Annual Meeting of the Transportation Research Board, Washington, DC, United States, (). 13 - 17 January, 2013. Yildirimoglu, Mehmet, Koymans, Anne and Geroliminis, Nikolas (2013). Exploring the properties of mean variance relations in freeway travel times. In: 92nd Annual Meeting of the Transportation Research Board, Washington DC, United States, (). January 13-17, 2013. Yildirimoglu, Mehmet and Ozbay, Kaan (2012). Comparison of two novel travel time estimation techniques based on probe vehicle data: Kriging versus non-linear programming based approaches. In: Transportation Research Board (TRB) 91st Annual Meeting, Washington, D.C, United States, (). January 22-26, 2012.